This is a guest post by Mina Ahmed. I had written a number of poetry pieces and short stories, but never really envisaged or had the confidence to share my writing with others—let alone consider them to be published. I came across Nottingham Writers’ Studio in 2016 and said to myself, I should actually go through the front door one day. This unfortunately only stayed as a thought in my brain until February 2018, when I visited the studio for a work-related project as a researcher for Nottingham Trent University. I became a member of Nottingham Writers’ Studio in May 2018. The Studio chairperson, Sarah Hindmarsh, arranged a four-night summer writing retreat. I braved and attended the retreat even though I didn’t know many of the writers. During a writing critique workshop I realised how invaluable it is to gain critique for your writing from other writers. This critique process allowed for greater clarity of plot, characterisation, and structure. It also validated to me that other people may just want to read my work. A valuable lesson was learned: I was my only critic and unfortunately I didn’t really value what I was writing. I met some skilful and talented writers eager to help and support new writers like myself. They shared without hesitation their writings and their journeys with writing. I learnt a lot of lessons from these passionate writers at every stage of their career. This helped me to understand the hurdles, pitfalls, and achievements stemming from being a successful writer. I met people from varied backgrounds, cultures, and locations. Each writer brought something valuable with their experiences and personalities to the retreat, which meant we could all benefit from both what they wrote and who they were. I had never actually experienced this type of generous and open offer of support and experience from acclaimed writers. I realised how difficult I had made my life by not reaching out for support from other writers. A valuable lesson was learned: writing is no solitary affair. As the retreat was not interrupted by kids, dinner demands, and household chores, I also gained some valuable reflection time. Well that’s what I thought it was all about anyway. 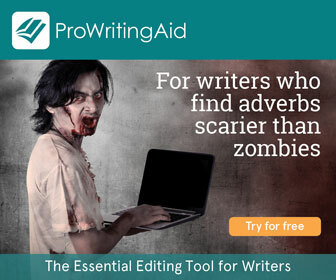 That can be somewhat a wrong image for all writing retreats. Although I wasn’t writing huge amounts at the retreat, I found that being among like-minded writers helped me to reflect and focus on who I am as a writer, the type of things that interest me, and how I can engage my readers. I learnt that there are several processes to writing—it’s not just the act of writing that is the most important part. Sharing, brainstorming, stepping back, reflecting, discussing, writing prompts, and editing are all valuable parts of the final accomplished piece. A valuable lesson was learned: writing is like nurturing a plant—the more you tend to it, the more it flourishes. The less you tend to it, the more likely it will be to wither away. One of the most powerful experiences for me was to listen to the works in progress of other writers and to read my own work in progress. The great thing about reading aloud and sharing in this way meant that I could get instant feedback. I didn’t have to have anxious thoughts like who will give me feedback? Or shall I get feedback for my work? It happened organically. It did not mean I had to share all my work all of the time. It meant finding the balance of both sharing my work and writing on my own. I realised that if I am stuck on an idea, a phrase, a character, or the plot development stage, I don’t have to wrestle with it for days and days in isolation. I can reach out and simply ask for support from the network built from this valuable retreat. This process of sharing my work educated me to respect my writing. A valuable lesson was learned: writing produced in isolation is starved from the light of others. Although I had a lot of discipline in writing for academic purposes (such as dissertations, essays, reports, and proposals), I didn’t have the same discipline with my creative writing. I didn’t quite understand why. During the retreat I realised that discipline is also needed for creative writing. Just like with academic work, setting a deadline—be it daily, weekly, or monthly—is an essential component of successful creative writing. The retreat was great for creating, passion, discipline, and space for writing. However, after I left I fell into bad habits of writing on my own without feedback. I was therefore grateful for a retreat member asking me to join their critique group. Joining this critique group helped me to maintain that discipline, and my respect and love for writing that was nurtured during the retreat. A valuable lesson was learned: By setting aside writing times you are respecting both the writing and the writer. Since attending the retreat I have successfully published my poetry and am writing my first piece of literary fiction on cults and radicalisation. Have you ever been on a writing retreat? What did you get out of it?